If you could save yourself time, money and effort, would you? Investing a few minutes in reading this whitepaper may save you all three. 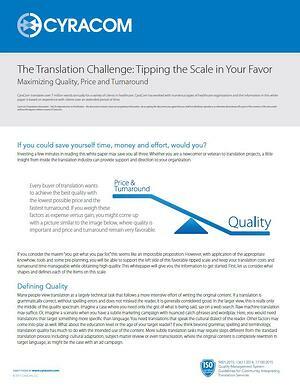 Whether you are a newcomer or veteran to translation projects, a little insight from inside the translation industry can provide support and direction to your organization.